The fact that Skopelos, an island the Western portion of the Aegean Sea, remains an unspoiled gem is rather surprising because the film, Mama Mia, which starred Meryl Streep, was filmed here. Sure, there are plenty of people journeying to the island for the sole purpose of reliving their favorite scenes. However, that’s not all it has to offer. 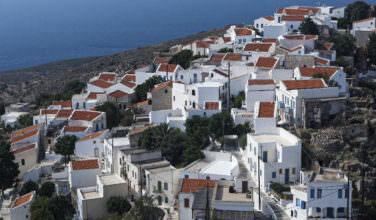 This is one of Greece’s quintessential island paradises and a popular destination for travelers from all over the world who are in search of a classic Greek island experience. There is also an air of mystery surrounding the island, particularly in how it got its beginnings. It was said that Skopelos was founded by Staphylos, the son of Dionysius (the God of wine) and Princess Adrienne from Crete. Because of who founded it, the island was always associated with it wine culture and has been since Ancient Greece. Today, visitors flock to the island to drink the wine and experience, eat the food, and experience what this paradise has to offer. Here is some advice on what to do while visiting. Skopelos island doesn’t have an airport so they only way to get to the island is by boat. The most common is by ferry. The island has two major ports – Skopelos and Loutraki. 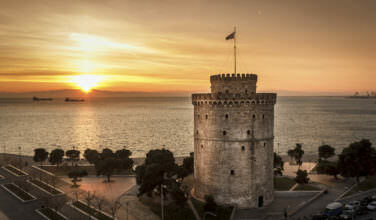 You take a ferry from Piraeus, Greece’s biggest port, or from one of the nearby islands. Ferries run daily with an increased schedule during peak tourist season. In Greece, ferries are a relaxing experience with great views of the islands. For longer rides, you can book a cabin room so you can get some sleep. Though there are hotels and guest houses throughout the island, you may want to stay in either Skopelos Town or Glossa, which both contain a good number of attractions to visit, have access to beaches, and also have plenty of opportunities for shopping and dining out. For a more authentic experience, stay in one of the island’s many villas. These are usually family run and will give you a more intimate glimpse of life on the island. One of the things Skopelos is known for is the beach. There are almost twenty popular beaches on the island, some of which are fairly secluded from regular tourist crowds. You can either visit one of the organized beaches, such as Stafylos or Panoramas, or a private beach such as Adrina. One thing that makes many of these beaches unique is that forests often surround them, which gives them the illusion of seclusion. 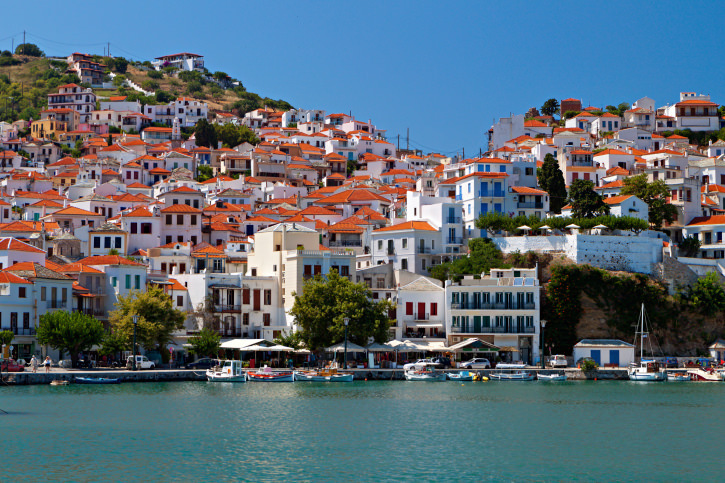 Skopelos is also known for its food and the island also has many restaurants and tavernas that offer local specialties. For the best restaurants, look for those, which are family, run and offer a good selection that utilizes local ingredients. Wash your meal down with some local wine and you’ll have an authentic experience. The fact that there is no airport on Skopelos helps keep the tourist crowd to a minimum. Certainly, there are plenty of travelers. 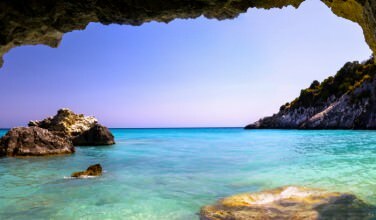 However, they flock here to experience a beautiful Greek island that has been untouched by development. 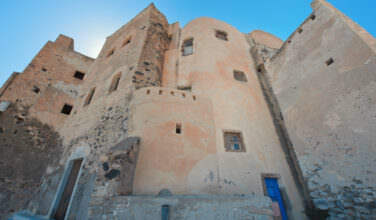 This gives the island an authentic charm that has been lost on some of the more popular islands.